June has come again. Two years ago this time of year, I was helping my then 19 year old son finish up his last few senior projects and course work so he could graduate. We were in the thralls of convention season here in Texas and I was taking photos for THSC… two conventions in a row, plus the GOP convention that he and I were delegates in for the state as part of his honors history project. I had sent the graduation announcements out with a save the date. His handsome mug looked good surrounded by “Class of 2016”. I thought I had arrived… the moment every homeschool mother dreams of, and dreads… the final chapter… the finish line. August 1st, 2016, I was admitted to the hospital for a case of vertigo. 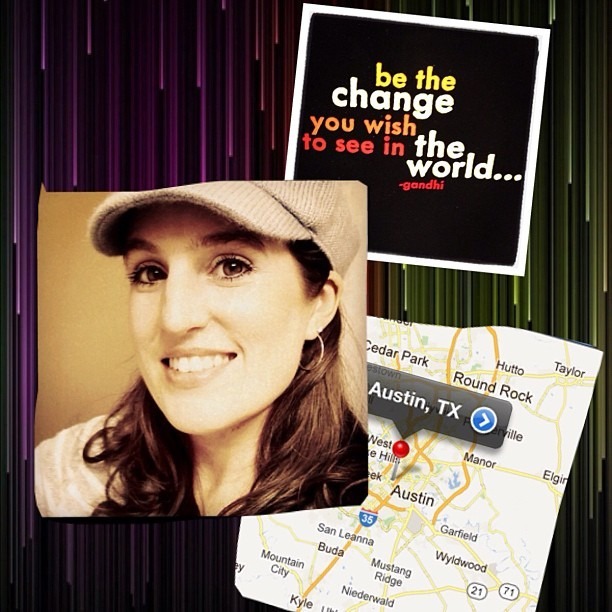 The world was spinning, but not as badly as it would a few days later finding out that I had stage three cancer. Four days later, I was coming out of surgery, a little light on guts – and I don’t recommend anyone try that dieting plan. There was talk of calling off the graduation party and celebration, but I wouldn’t hear of it. 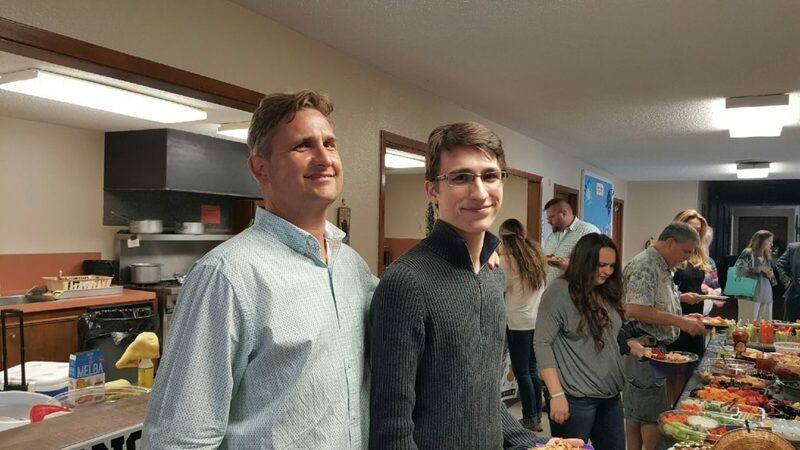 Instead of trying to keep me in bed (they couldn’t have), my friends and family rallied around and helped me give my eldest son the party I had dreamed of. It was magical. I cherished the memory of it and it was such a bright spot in a valley I had to trudge through. 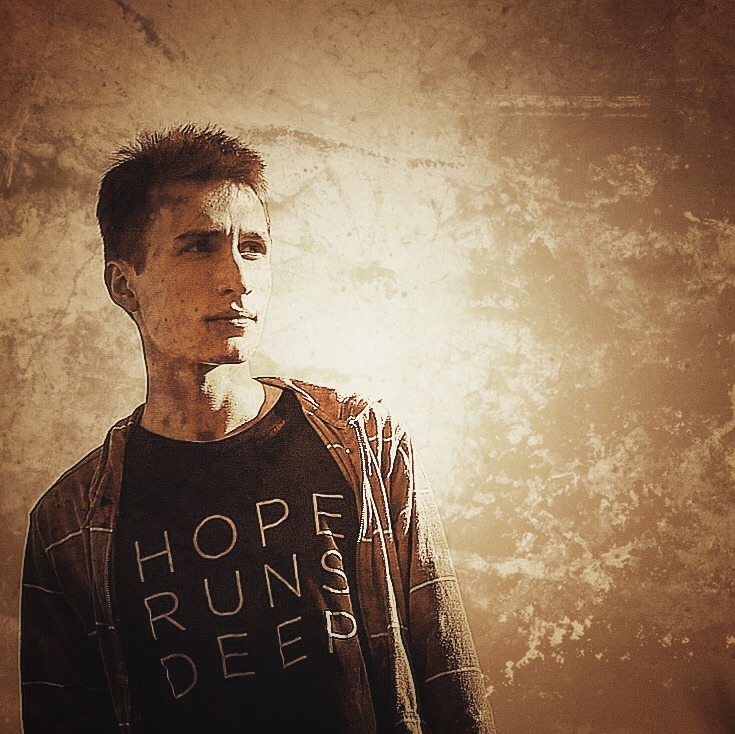 God brings you through some dark places… but He always gives you lights along the way. Graduation day for my son was one of those lights that kept me going through the darkness. Since I haven’t shared about our graduation party here, I thought I would just give you a little recap. If you are a homeschool mom with teenagers and you aren’t sure how you’ll make it through the next year or three… listen up: I WAS YOU. Those moms of graduates were in the trenches with you. They didn’t have the perfect curriculum, the perfect lesson planner, the perfect husband, the perfect kids – and by golly, they weren’t perfect, either. 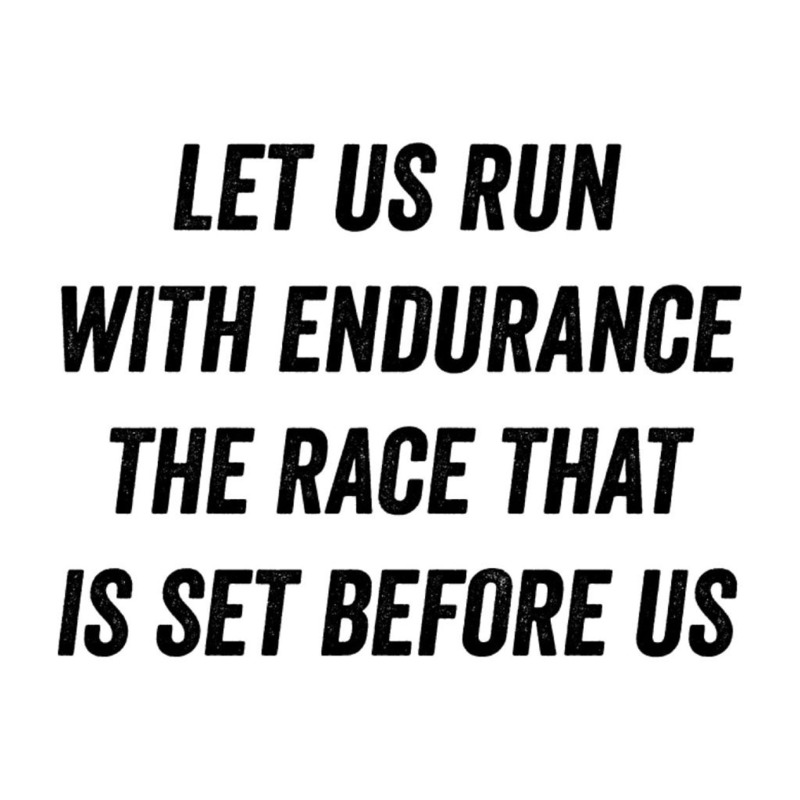 The only difference between them and you is T I M E. They leaned on Jesus and made it to the finish line. I know that’s what I did. My son was the same. He struggled that last year to get it all done. Shhhh! There are still lists of books I wanted him to read before the end of school that got tucked away in a folder I made him keep (and pinky promise me that one day he would read them). There were portions of textbooks that got skipped. There were not as many essays as I would have hoped (and he is thanking God still that I didn’t make him do the last couple on my English 4 list). I’m here to tell you a secret, homeschool mom… wait for it…. you ready? PUBLIC SCHOOL TEACHERS AND STUDENTS DON’T ALWAYS FINISH EVERYTHING EITHER. There. You are now off the hook. God calls us to do our best – each day – and that is enough. It isn’t a license to skimp, slough off, give up, goof off, be lazy, or waste time… no. But beating yourself up over every tiny thing you weren’t able to manage while you were doing your best is called SELF HATE. God wants you to be KIND to others (including yourself). I just got finished taking some senior portraits and attending the graduation of a dear homeschool friend of ours and it had me reminiscing about Kaden’s graduation. 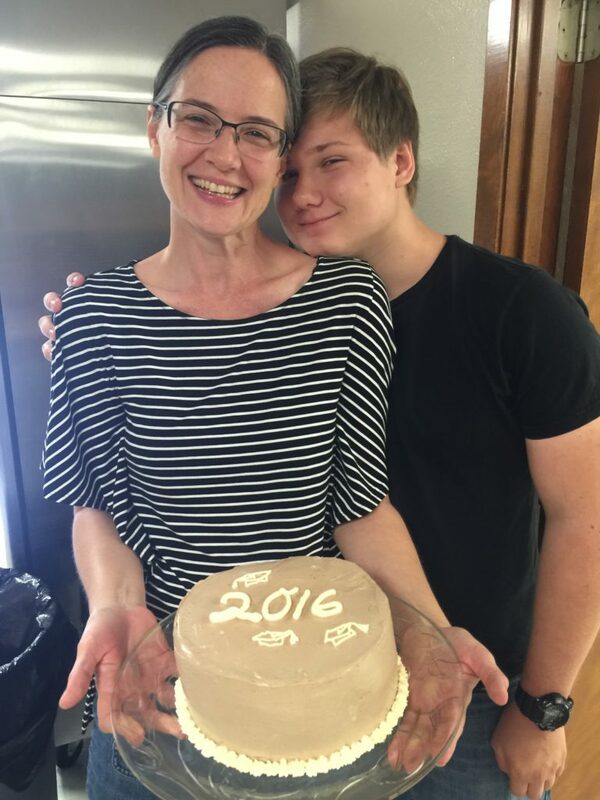 I looked up the photos from August 2016 and wanted to document his graduation on the blog. After all, I started blogging as a memory book for my homeschooling years. It only seems right to share the single most important homeschool accomplishment for my big guy. Because I was one week out from my cancer diagnosis when we did Kaden’s graduation, I can’t take credit for anything that day. 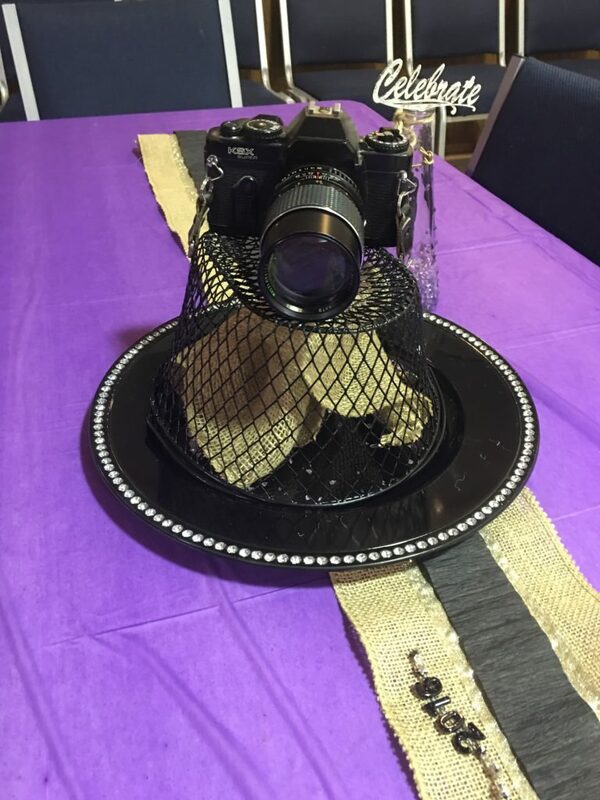 My friends came to the rescue – literally helped me plan and execute the entire event while I was healing from major surgery and dealing with the research and stress of deciding on my method of treatment for preventing a cancer return. Those were two of the most stressful weeks of my life, but the celebration of Kaden’s graduation and my 20 year high school reunion were bright spots. You will have to excuse the images for this post… I’m a photographer, but I somehow managed to completely forget that fact and be present in the moment when it was Kaden’s turn to shine. I was just enjoying life that day… like a homeschool mom should when her kid is wearing his cap and gown. 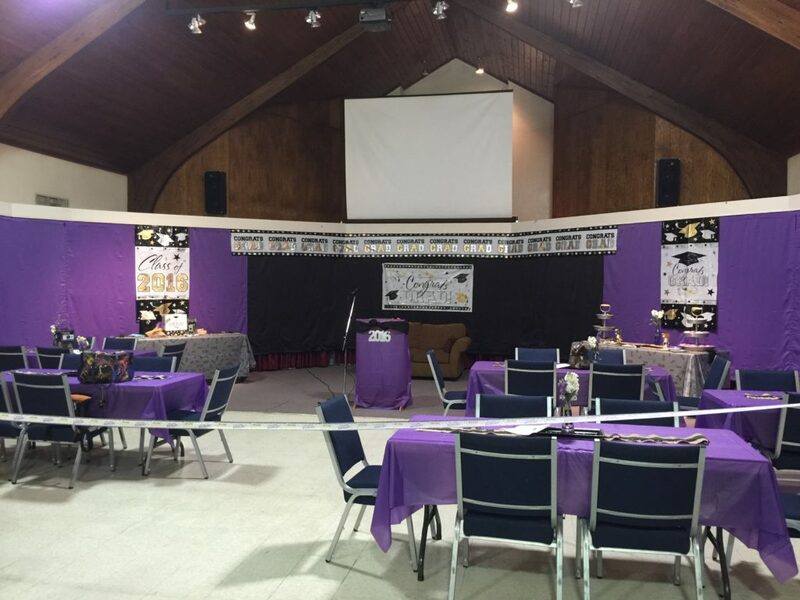 My friend Paula drove in from Longview with her sweet girls and they decorated the fellowship hall in our church with purple (my son’s gown color of choice for his graduation and ring stone – since his birth stone is amethyst). Because I am a photo nut, she decorated the tables with cameras and confetti… and it was perfect. The fellowship hall had never looked so festive. I loved how it all turned out. My homeschool co-op group swooped in and helped set up the food tables, clean and organize, set up tables and chairs, and brought gifts and munchies for the guests. Many of them stayed for the event, too. Even more important was that they were praying for me and some of them brought us food and checked in on us. Those days were such a blur, that I don’t even know if I thanked everyone properly. Grace helped me make a slideshow and Paula’s husband, Thomas, helped us set up the computer and run the projector and sound equipment. Tammy helped me make a program to hand out with all of the details I shared with her. She even went to go make copies for me and handed them out to the guests. She also helped me set up a table in the back of the room with photos, a sign in sheet, and a box with index cards for people to leave Kaden their best graduation life advice. We had a few people come and speak for the ceremony: his grandma, his dad, his teen bible class leader, the lady who runs the pantry, a deacon at our church, and myself. I also asked the staff at Texas Homeschool Coalition to send us a video for him since he volunteered for them for nearly a decade and took part in their teen programs each year for all the conventions I took pictures at. The slideshow was one of my favorite parts about the entire event. If it weren’t personal to him, I would share it here. It was so fantastic… and a great way to “BE” at a graduation and honor a kid without actually attending the event. It was so touching to watch the videos, slideshows, and listen to everyone speak on his behalf. It was a good thing that someone brought a box of tissues. 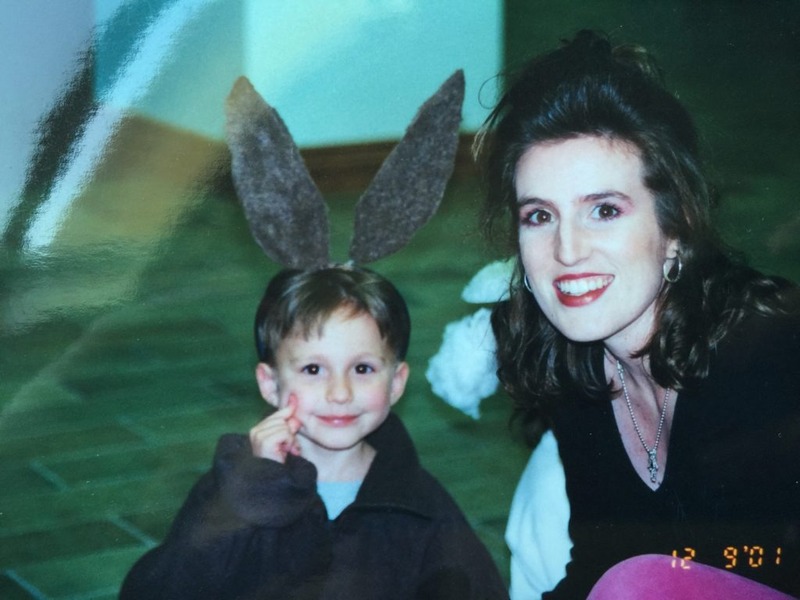 My mother and I both cried a few times. 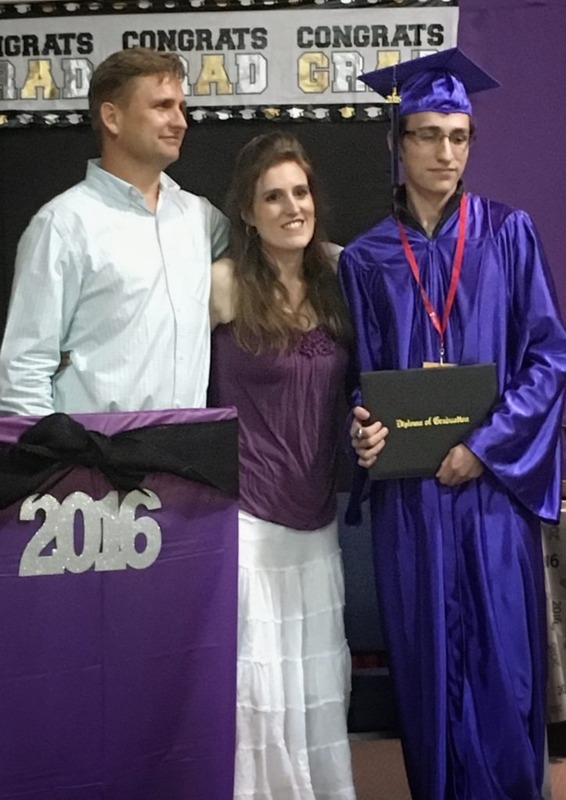 I have seen a lot of different types of homeschool graduation ceremonies throughout the seventeen years we have been living this journey. We’ve gone to group graduations with our homeschool co-op with multiple graduates, we have gone to massive school-like graduations with corporate groups like One Day Academy here in the Austin area (which had over 65 graduates this year – I wasn’t counting, but it was a bunch of kids), and we have gone to individual graduations where families (like ours) did a personal celebration for just ONE homeschool graduate. I like all of them for different reasons… but I have to say that Kaden’s has been my favorite so far. I’m partial, sure, but it was perfect for him. It wasn’t until after his graduation that I finally felt like I was a bona-fide homeschool veteran. Veteran or not, I’m not ready to pass the baton. I still have a soon to be third grader and first grader in classes… and I’m doing all I can to keep fit so I can get these boys to that same finish line somewhere between 2028 and 2030! Looking at those numbers makes me feel like I need to go get a few B-12 shots for sure. So here’s my little slice of take-away for the homeschool mom who is staring at the screen in awe, thinking she just CAN’T. You really can. You can because it isn’t YOU who has to bring it all to the table. God never intended it to be easy. Shoot… the entire thing started off with labor pain, blood, guts, and screaming. Children are AMAZING AND WONDERFUL. But they aren’t easy. And there’s a WHOLE LOT OF LIFE in between. Tears, laughter… LIFE. Homeschooling is just a part of life. Some days you are up, some days you are down. The trick is just to keep your eyes on Jesus and remember WHY YOU ARE DOING IT IN THE FIRST PLACE. One day those sweet baby faces will be lean and chiseled… a man now standing where your little boy once stood. Remember that he won’t remember that you didn’t do the last 20 pages of the math book. He’s going to remember that you stood by his side and helped him graduate even though you could have been dressed to the nines, hanging out with adults all day, and letting him spent 8-10 hours someplace else as somebody else’s problem. He’s going to remember that you wanted more than anything in the world to BE THERE WITH HIM and TEACH HIM… and that even if you didn’t do it all right, you DID IT. 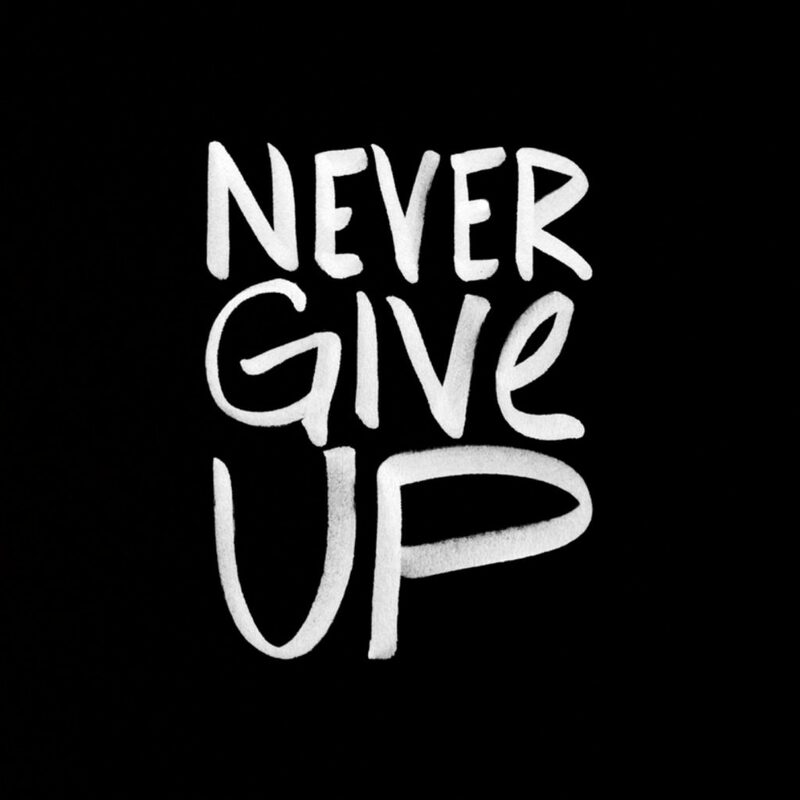 You didn’t GIVE UP. HANG IN THERE, homeschool mama. He (God) can do exceedingly, abundantly beyond anything you can ever ask or imagine. Graduation IS on the horizon. Even for those kids who may have veered off the path for a while – even for us mamas that did that, too. Maybe it won’t look the same for every kid out there – YOU ARE UNIQUE and God can make you stand. Rise up to meet the challenge before you. You won’t be sorry. These last 17 years with my family, homeschooling, have been the best years of my life. Every single one of my kids are my Magnum Opus (my greatest achievement, greatest work, greatest accomplishment, masterpiece – given to me as a temporary blessing to be shared with the world … my legacy). That’s why I named my homeschool “Magnum Opus Academy”. I kid you not. Right after I read Charlotte’s Web to tiny Kaden and Morgan back in those early homeschool days, I told them they were my Magnum Opus. I dreamed a BIG dream of this very moment, way back then, and thought Charlotte was so very right about her little spider egg and all those tiny web-spinners she was bringing into the world. Your children are your greatest gift to the world. Time spent on them is time WELL SPENT. 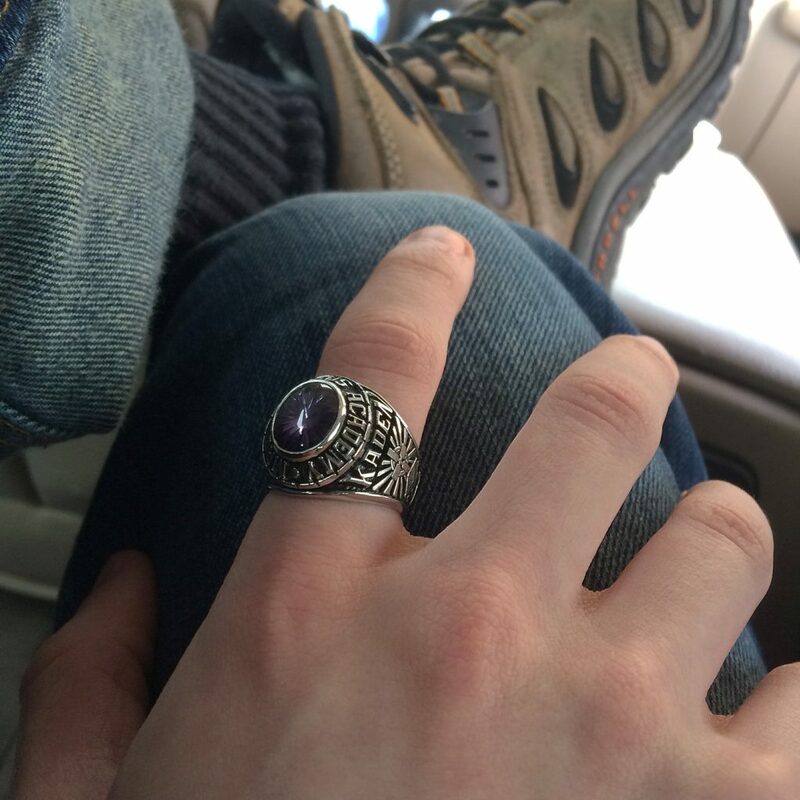 So I inscribed ‘Magnum Opus Academy’ on my son’s high school ring…. and I stayed the course. No matter how much the enemy threw at us. God kept me standing. He’s still keeping us standing. The story is not done “until the fat lady sings”, as my mama loved to say. I’m cheering you on from the finish line! YOU CAN DO THIS! From one homeschool mom to another. Stay in the game! Ready, set, pray! Keep your eyes on the goal. FIVE! WOW! You do have a road ahead of you! 🙂 Keep on truckin’!